A slim 2mm heavy ladies' ring, crafted into a D Shape using beautiful 18ct yellow gold. Makes for a classic wedding band or versatile ring for everyday wear. 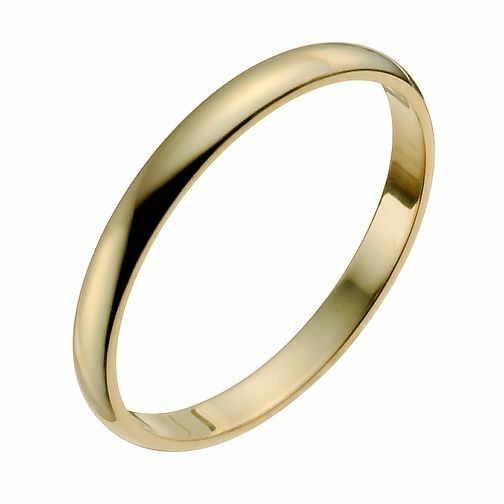 18ct Yellow Gold 2mm Heavy D Shape Ring is rated 5.0 out of 5 by 2. Rated 5 out of 5 by Anonymous from Just as described Lovely ring, I ordered three gold band rings it was quite difficult to see the difference I had to phone to check.